Way back in grade school, breaking your arm was kind of awesome because you got to wear a cast that everyone signed. Once you grow up, though, wearing a cast is a lot less desirable. 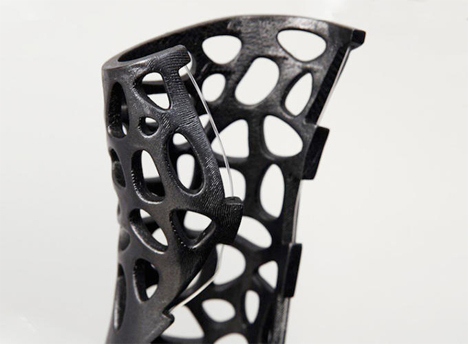 Turkish industrial designer Deniz Karasahin has invented a 3D printed cast that uses ultrasound to heal bones quicker than a traditional cast. 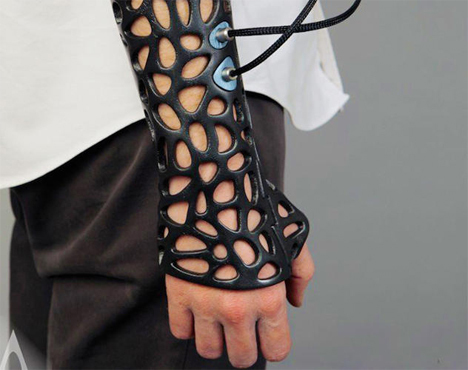 The Osteoid cast kind of looks like a fashion accessory. 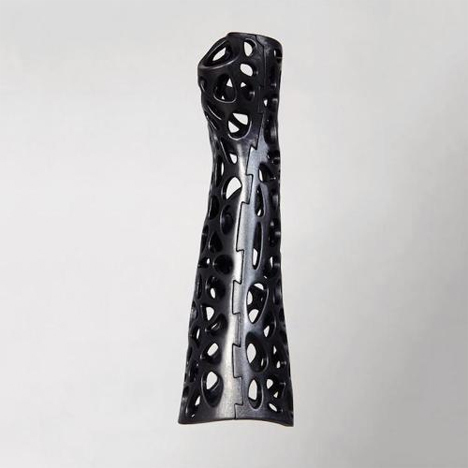 Its multiple cutouts resemble a carefully-crafted design, but they are actually ventilation holes that keep away the itchy, musty, stinky sensations of plaster casts. 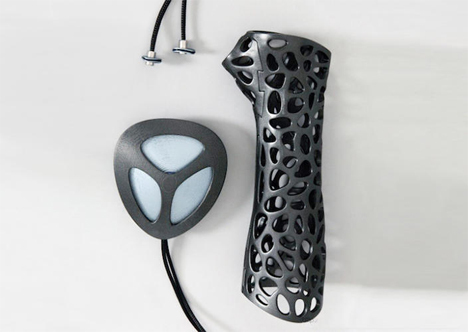 It’s hooked up to low-intensity ultrasound for 20 minutes a day, which the designer says can decrease the healing time significantly. The healing process can be reduced by up to 38% for certain fractures and up to 80% for others. FastCo talked to Dr. Michael Hausman, a hand surgeon at Mt. Sinai Hospital, about the technology. He is optimistic and confirms that ultrasound has been proven to reduce healing times. 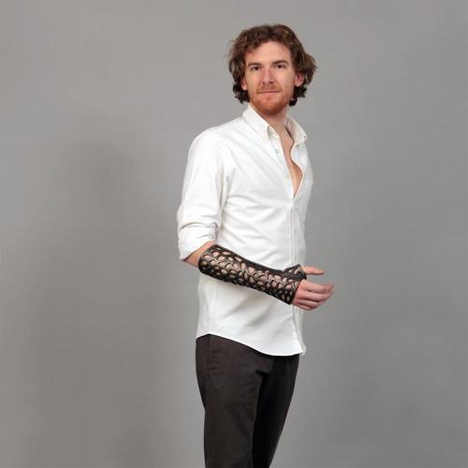 He even agrees that the design is far more attractive than traditional casts. The only hurdle that he can see – and one that is sure to weigh on plenty of other minds – is whether the next-generation cast will be affordable.